Ships today if you order in the next 10 hours 22 minutes. It's hard enough getting children to eat their fruits and vegetables - but it's essential for their natural development and defense. 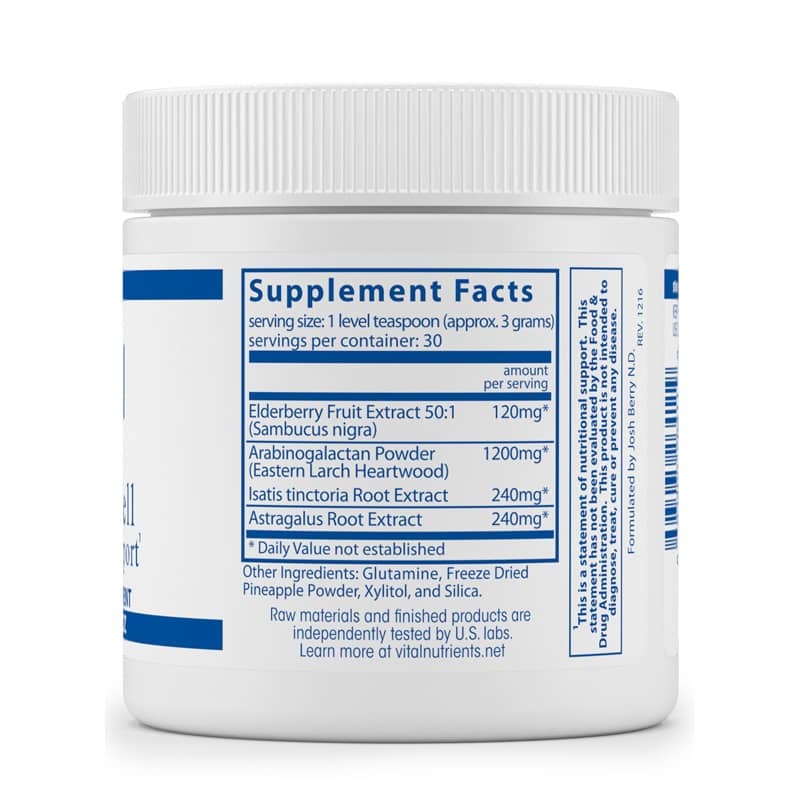 Elderberry extract supports immune system function and promotes well-being. 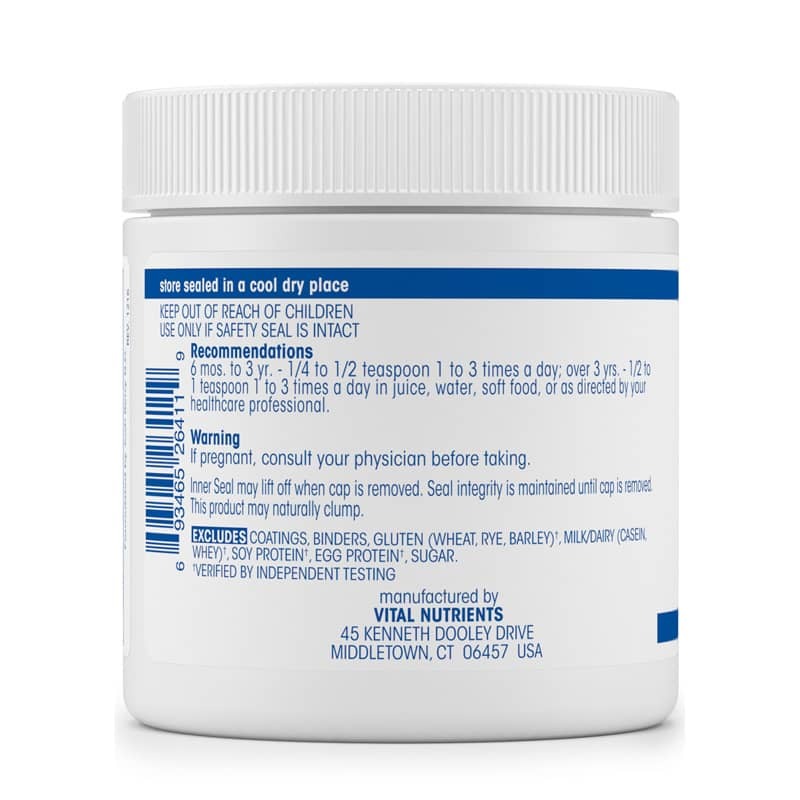 Vital Nutrients offers this important extract in a dietary powder that specifically targets kids. 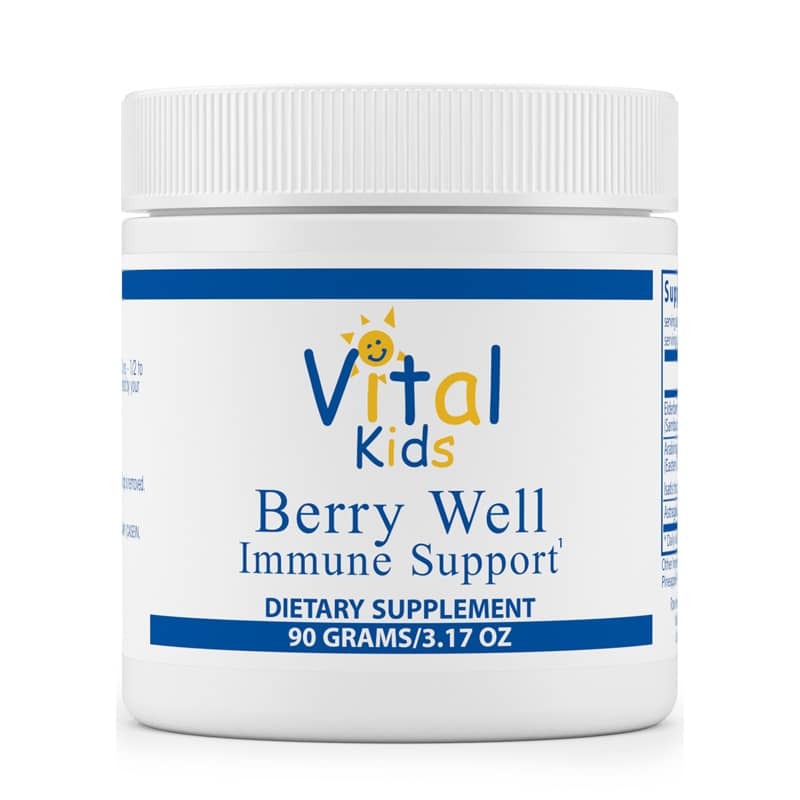 Vital Kids Berry Well Immune Support powder is a unique concentrate of elderberry extract, pineapple powder, xylitol and other nutrients. Children under age 3 should only consume 1/4 to 1/2 teaspoon of powder 1 to 3 times daily in juice, water or soft food. Over the age of 3, kids can consume 1/2 to 1 teaspoon 1 to 3 times daily. It tastes great in applesauce or yogurt too! Your kids will love the flavor. And you can rest easily knowing these natural ingredients are maintaining your child's immune system. Consider trying Kids Berry Immune Support Powder! Other Ingredients: Glutamine, Freeze Dried Pineapple Powder, Xylitol and Silica. Contains NO: coatings, binders, gluten, (wheat, rye, barley), milk/dairy, corn, soy protein, egg protein, sugar. 6 months to 3 years old: 1/4 to 1/2 teaspoonful 1 to 3 times a day in juice, water, soft food or as recommended by a healthcare professional. Over 3 years old: 1/2 to 1 teaspoon 1 to 3 times a day in juice, water, soft food or as recommended by a healthcare professional. We're going on our third bottle. I mix it in with applesauce, my son likes the taste. We'll continue to use it during the cold and flu season.